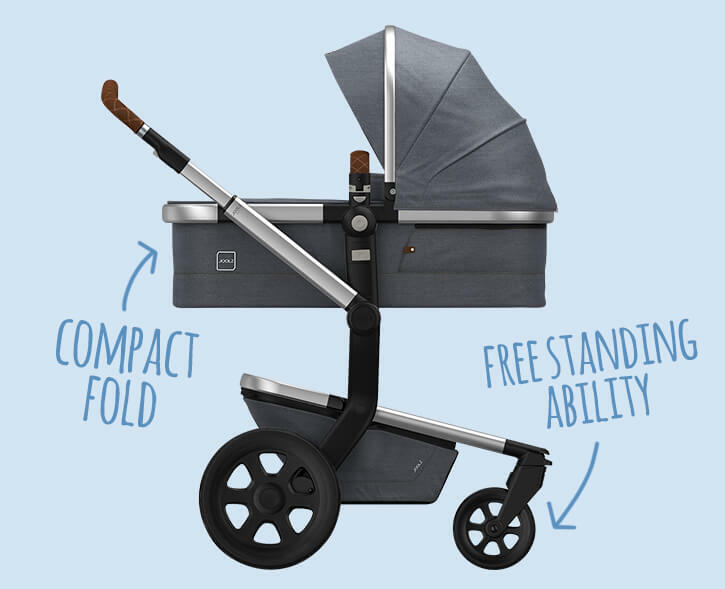 The beauty of the Bugaboo Donkey is how versatile it is. 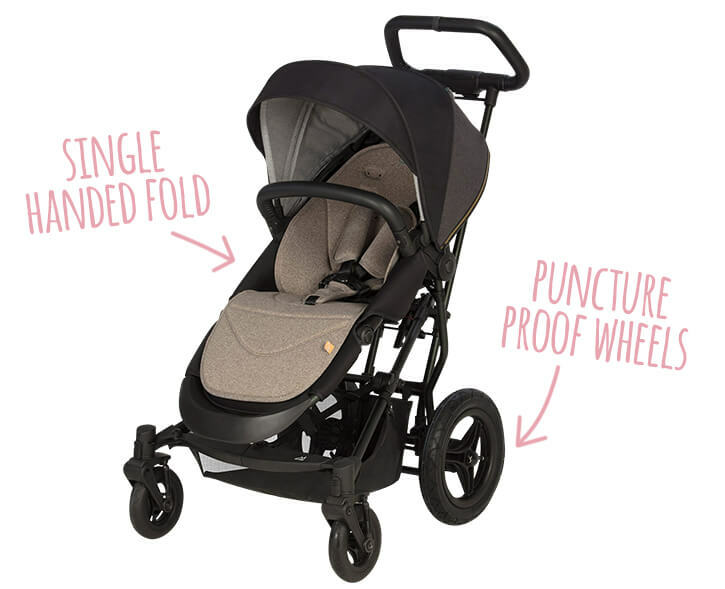 It can be used as a single and double stroller from birth. The Donkey has an effortless style, with mix and match fabrics to suit all tastes and its chunky tyres ensure a superior ride regardless of the terrain. 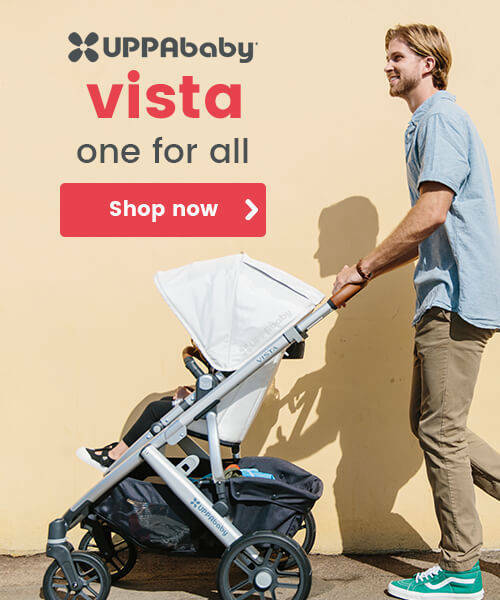 Simple and stylish, the Egg Stroller is well known for its distinctive shape. 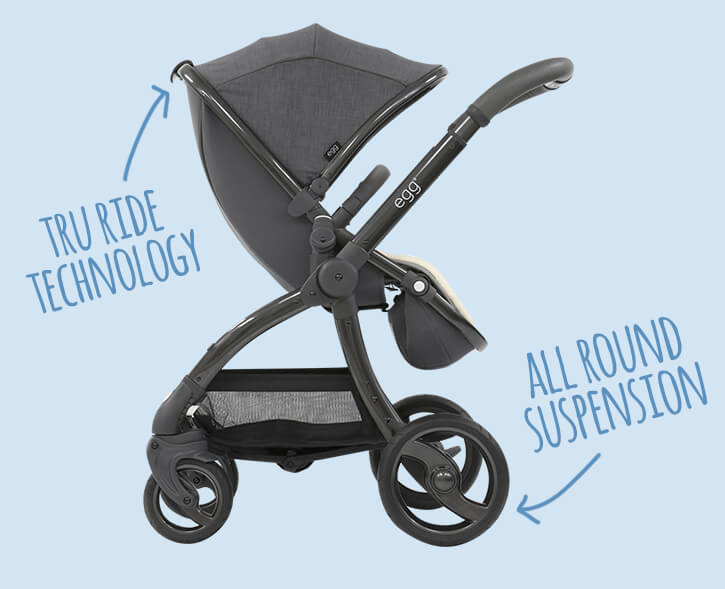 This luxurious stroller has been engineered with tru-ride technology for superior handling whilst the all-round suspension ensures that every journey is smooth and comfortable for both you and your little one. 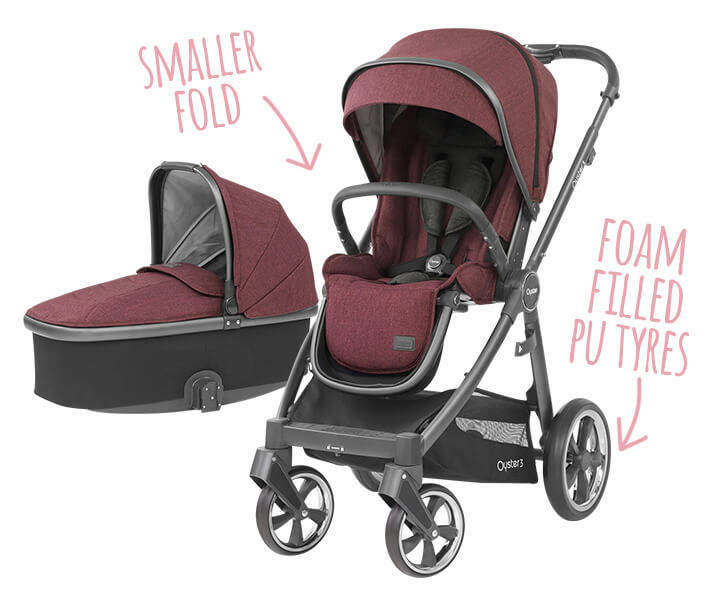 Introducing the newest Cybex Priam pushchair! It has been fully overhauled for 2019 taking plus points from the original and elevating the model into something really special. 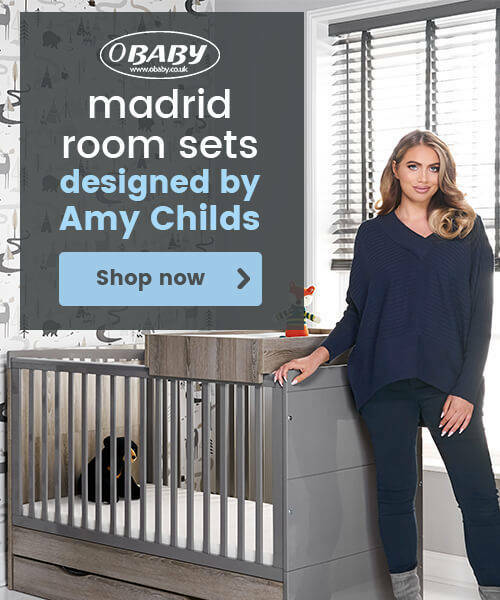 Let your little one experience panorama and sky views from the carrycot, transform it into two wheel mode or use it as a highchair substitute! The premium look and feel with everyday functions! Its compact fold and free standing ability make it great for both transport and storage. 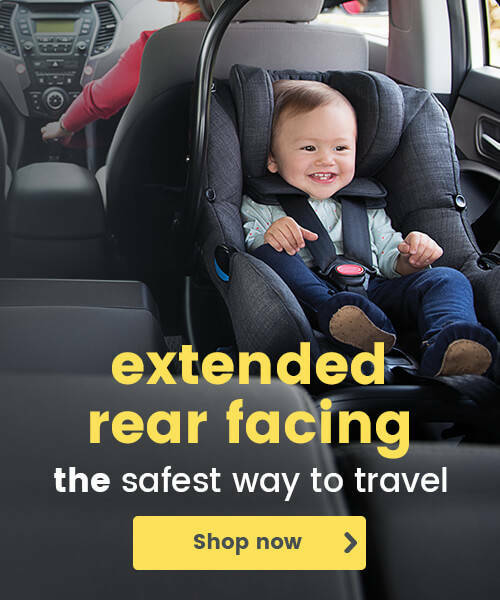 Smooth suspension creates a comfortable ride while the adjustable footrest provides extra support for your little one's head and feet. 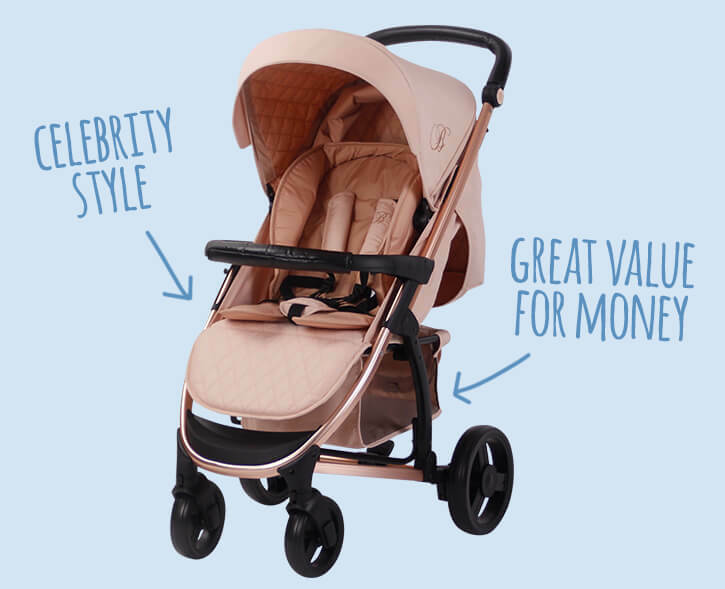 Crafted to perfection, the iCandy peach ensures the highest quality, safety and performance. Its seat unit is one of the tallest on the market, it can be used forward or parent facing and can also be converted from a single to a double pushchair making it perfect for those planning for more than one child. Out n About have the perfect all around pushchair. 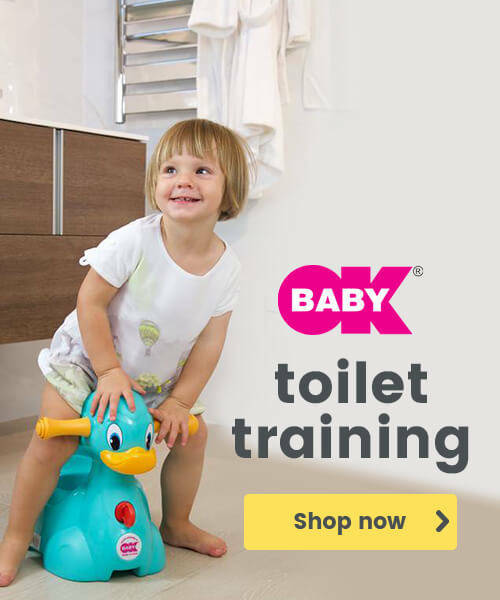 It's front swivel wheel and sprung rear suspension make it a brilliant and convenient way to transport your little one conveniently from A to B. The full wheel rotates a full 360 degrees but can also be locked into position to smooth out any rides on bumpy terrain when you are out exploring. 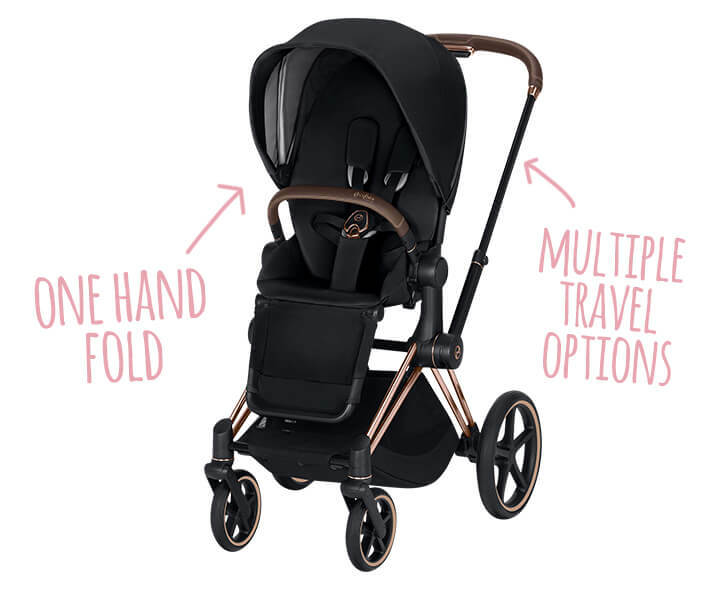 The perfect all road pushchair, the smartfold offers a single hand fold which also stands freely meaning it is great for parents on the move. 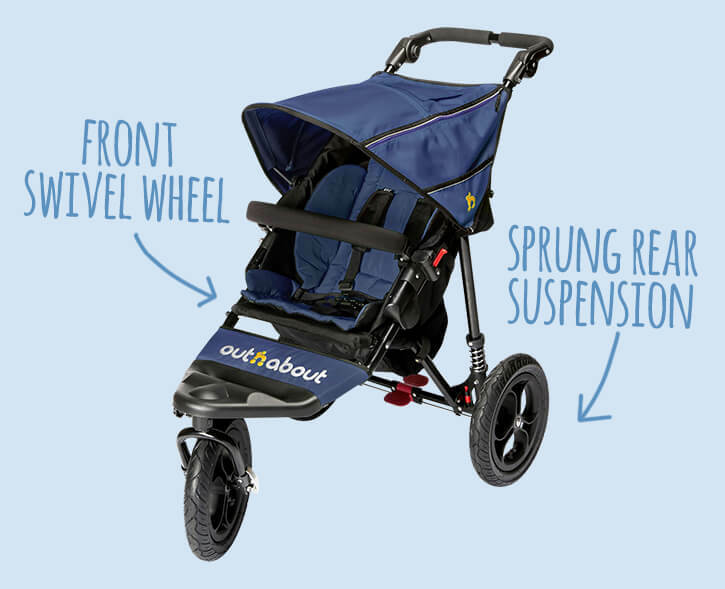 Its large, pneumatic, puncture proof wheels and suspension ensure a comfy ride for your little one regardless of the terrain. Stylish, ultra modern, and great value for money! 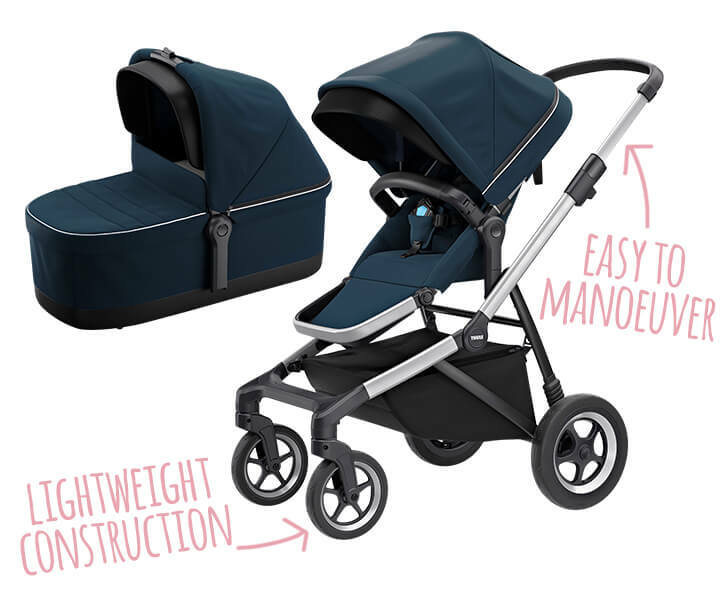 The MB200 is a sleek and simple city pushchair equipt with a large basket, multiple position recline, footmuff, cup holder and extendable hood. 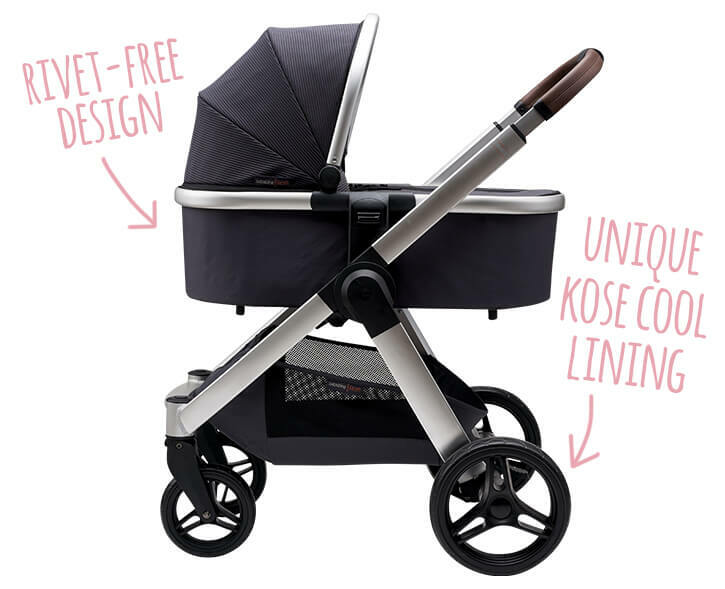 Its lightweight and strong aluminium chassis means it’s a great on the go pushchair! A one to watch for 2019. We’re big fans of the Thule Sleek here at Uber Kids. 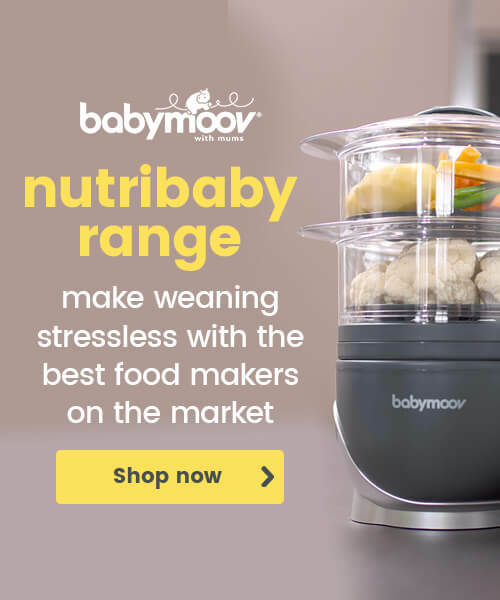 It can be used as a single, double or twin pushchair and is easy to manoeuver thanks to its lightweight construction, front swivel wheels and compact size. 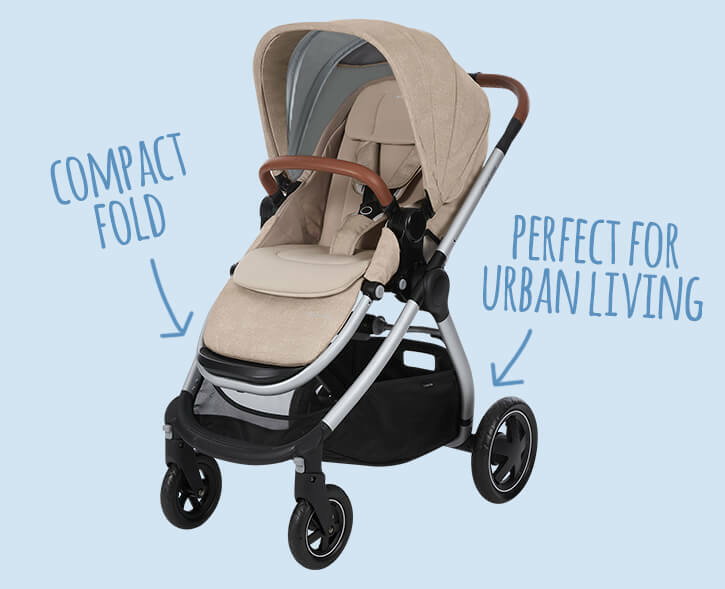 The perfect pushchair for urban living. This lightweight pushchair is great for city living as it has a large comfortable seat for your little one but also a huge shopping basket. It also folds up compactly making hoping on and off public transport stress free. 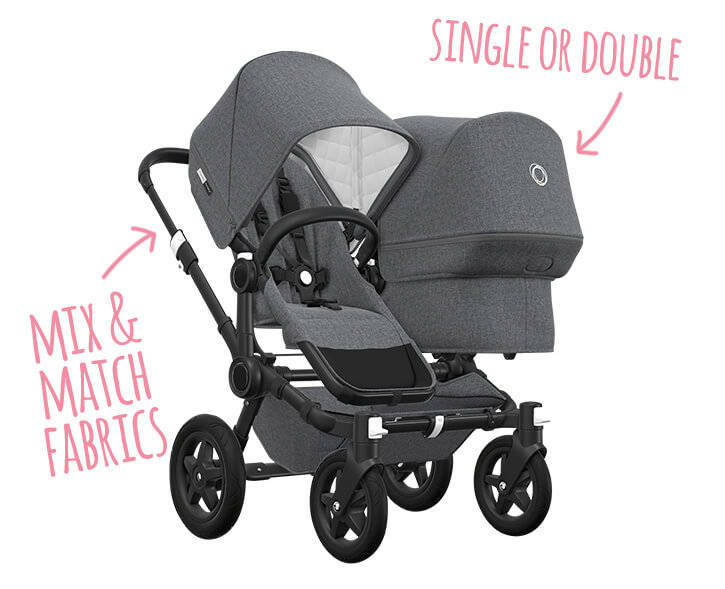 Bigger and better than ever, the Oyster 3 has more room for the child but a smaller fold! The carrycot has been designed with a rocking motion which is soothing for the child. Its foam filled PU tyres and all round suspension give it a smooth all terrain push. 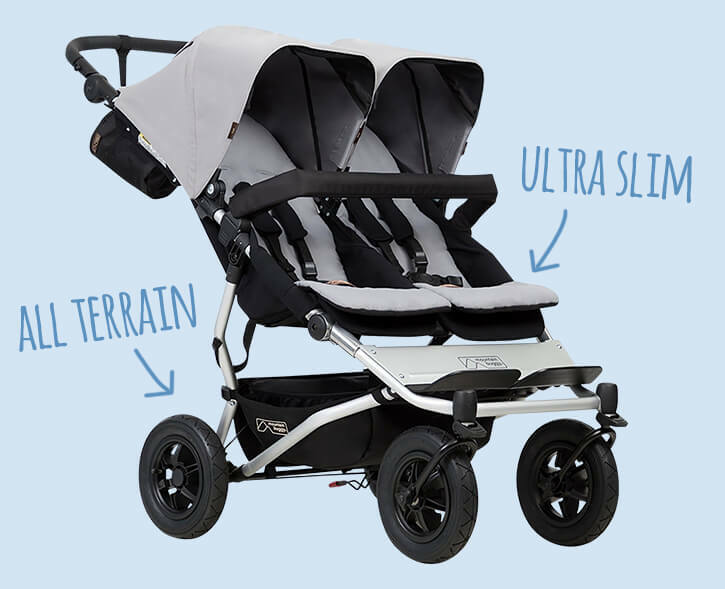 This ultra slim 63cm double buggy is perfect for all terrain adventures. 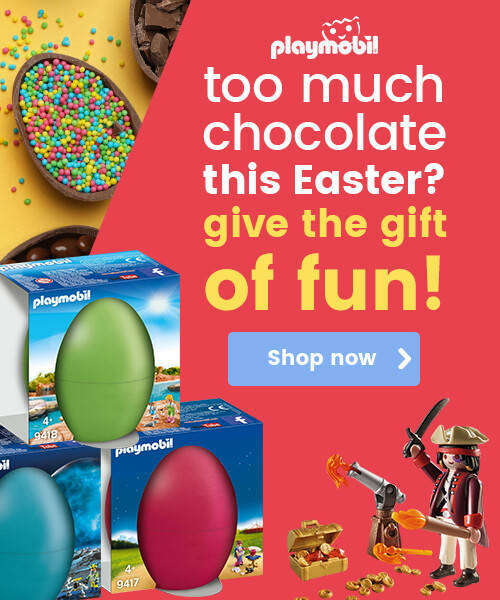 It has a one handed fold and is compact. It is super light and easy to manoeuver. You can also choose from a combination of seat units, car seats and carrycots to transport your little ones both comfortably and safely. 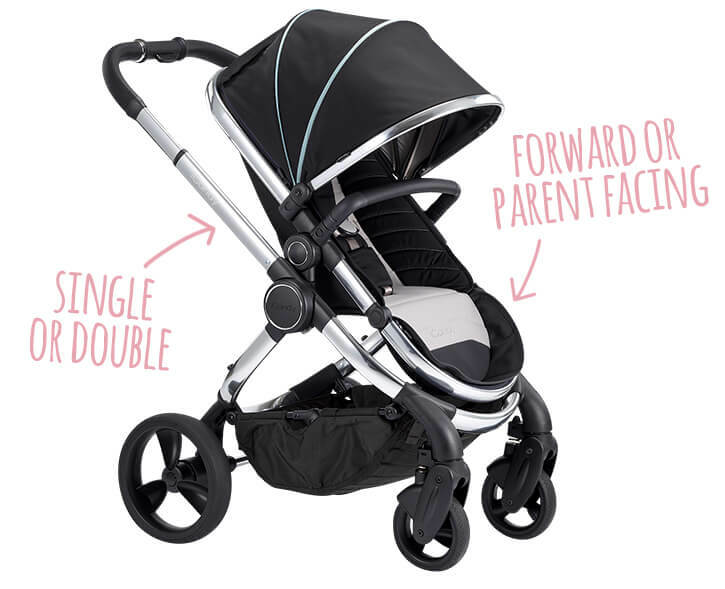 The main focus of the Raffi pushchair is versatility, ease of use and ensuring a comfortable and smooth ride for baby. The chassis is rivet free and has a one handed fold. The material used for the seat and carrycot is Kose cool lining. 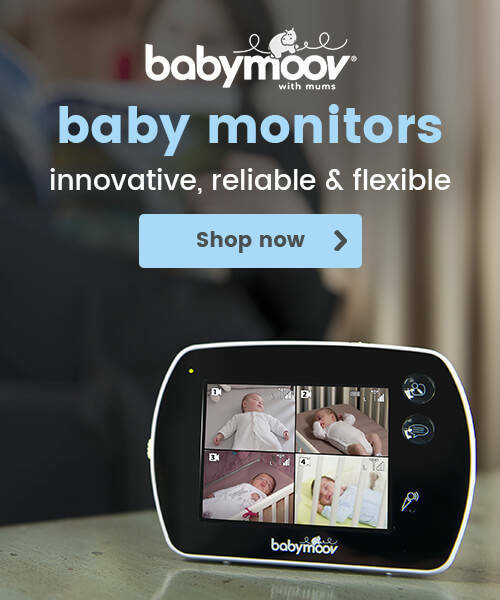 This breathable smart fabric is unique to the Raffi so you won't find it anywhere else on the market!